Even though yoga is a common practice among women, men also engage in the practice. Flexibility is a common aspect of yoga. Yes, you need to master the moves, and you must be patient enough to be good at yoga. Other than that, you also need to find yourself a good pair of yoga pants. The yoga pants are perfectly designed to stretch without becoming loose. You cannot use your regular gym pants to do yoga. When choosing a pair of yoga pants, you should ensure that you consider factors like the material, comfort, and size of the pants. That said, here is a look at the best yoga pants for men on the market. 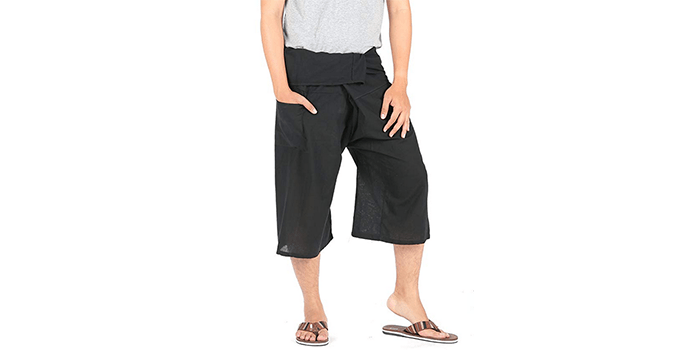 These pants are 100% cotton, but thin enough to prevent excessive sweating. It is one-size-fits-all, which should fit waists between 24 inches and 44 inches. You will also enjoy the pockets included in the pants. They are loose-fitting and flowing – so you won’t experience excessive sweating. The material is strong and soft to the touch. Well, you may not like the style of these pants, but they are one of the most comfortable out there. You can also wear them in the hot summer without experiencing too much heat. These yoga pants are super comfortable, and it will stretch along with your movements. It is more stylish than the CandyHustky Wrap Pants, and they fit perfectly as well. It is a good choice that you can use for different yoga moves. You would also love the elastic waist that will fit different waist sizes. The only thing that may not please you is that the pockets are somewhat shallow. You may only use the pockets for warming your hands or keeping your keys. It is also one of the affordable yoga pants out there. The Yoga Crow Yoga Pants are made of top-quality fabric to offer you total flexibility as you make your yoga moves. It features moisture wicking and 4-way stretchability technology that makes it extra flexible and comfortable. 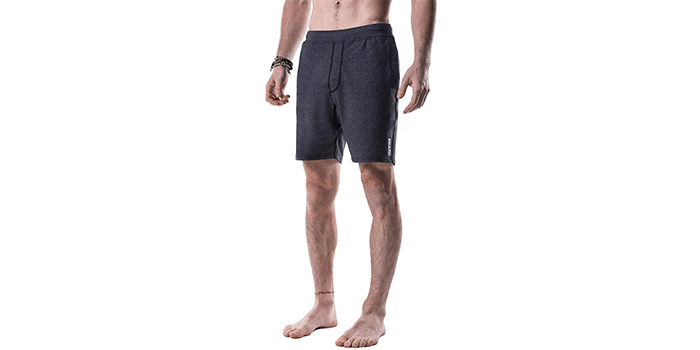 For that, the shorts can withstand any yoga pose without limiting your joints. There is also a non-abrasive secure boxer brief, which gives you confidence when you have your legs in the air. 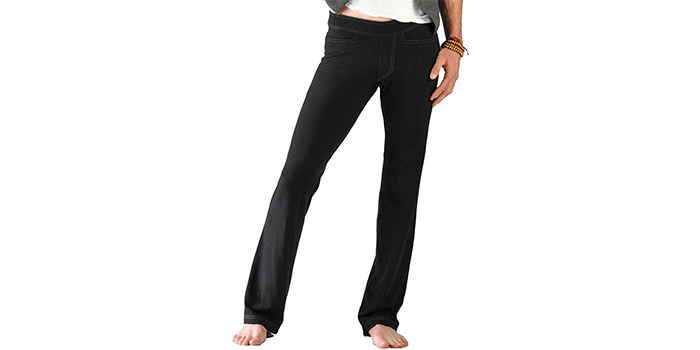 Manduka Yoga pants are known for their high-quality materials that last for long enough. With these pants, they are made of recycled polyester, and they also have contouring stitches. There’s also a functional side pocket to put your valuable items. They stretch easily without limiting your movements. 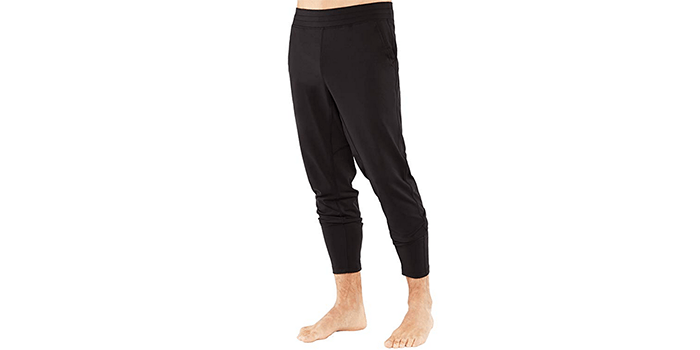 These pants are meant for the yoga enthusiasts that run or runners that yoga as well. They are simple and have no-frills bottoms, which enhance your yoga performance. You would enjoy the comfortable fabric that stretches along your movements. It will also compress when you need it to, and the sweat-wicking material helps to keep your skin dry as you yoga. They are comfortable enough to make your yoga session easy and enjoyable. These are among the men’s yoga pants that look amazing and fit perfectly as well. It is stretchy and strong enough to let you move freely during yoga without tearing. It is soft, and lightweight to offer extra comfort as you wear it. You get to choose from multiple of colors according to the one that meets your preference. It is made of a top-quality fabric that can last for many years. Unfortunately, it absorbs a lot of sweat, which can make it heavy. For that, it is not recommended for heavy sweaters or hot yoga. These pants are made of a high-quality material to last for long enough and stay strong during your yoga sessions. 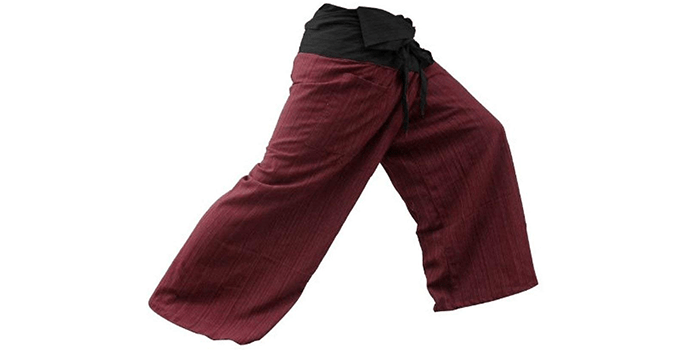 It is super comfortable, and it will allow you to perform any yoga move, including the flying side kick. You will find the front and rear pockets usable, and it also has a faux fly. It almost looks like a pair of skinny jeans. You will not experience any seams rubbing or catching in the crotch. The Spandex of the material makes it extra stretchy, and the cotton fibers make it lightweight for an ultimate comfort. One thing to notice about these pants is the unique design and style. It is super flexible and allows you to make different yoga poses without limitations. They are simple and come with a custom MODAL French-Terry fabric from Birch Tree Wood. This material makes it super durable and strong enough to withstand any stretch. Its slim fit style lets it accentuate your muscular physique. Even if you are a skinny guy, these pants will still fit you perfectly without experiencing any looseness. These Hoerev Yoga Pants are super soft, come with a unique style, and they are perfect for both indoor and outdoor exercises. They also feature Spandex, which enhances its elasticity. For that, you will freely stretch and move your limbs however you want during yoga. However, the Spandex material is somehow delicate, which means you have to be careful when you are washing it. 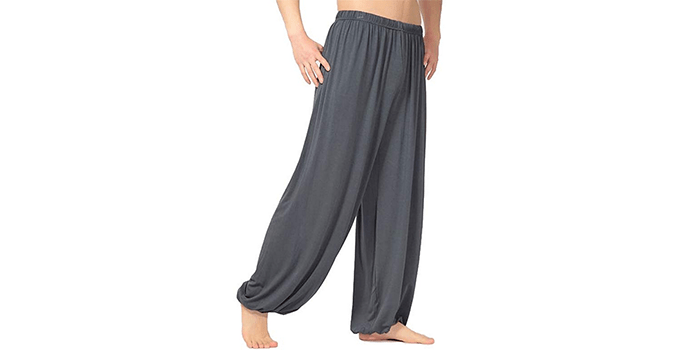 The pants come with a soft and silky feeling that you will enjoy wearing throughout your yoga sessions. If you love the Samurais, you will love these yoga pants. The pants come with a cool design and made of a top-quality material. The material is thin and breathable enough to let you enjoy your yoga without excessive sweating. You can use them for gentle yoga, meditation, stretching, and also lounging. It is made of a sturdy Thailand cotton that remains strong for long enough. You would also love the style of these pants. It is a one-size-fits-all pair of pants that can fit anyone. The waist fits perfectly, but the legs are meant to be extra loose and roomy. There’s also a single side pocket for you to keep your valuables. All in all, these are supposedly the best yoga pants for men out there.